Imagine stepping out of your car and slamming the door shut without taking your keys with you. If you have a spare on you, you can quickly gain access, but what if you don’t? Vehicle locks are designed to be impenetrable and no amount of manipulation from your end can restore access. If the same happens in the middle of the night or in a deserted location, rationality ebbs away and panic takes hold prompting you to take drastic measures such as smashing the windows open. But before you do that, know this: help is just a phone call away. Yes, with Boulder Locksmith Store by your side, you’ll never be caught off-guard and without the requisite help during such contingencies. We’ve set up an exclusive emergency response unit to deal with lock & key emergencies in a swift manner. With a taskforce that works in shifts round-the-clock, and a presence that spans across the entire Boulder, CO area, you can be assured of receiving help from anywhere, at anytime. Our rapid response, quick turnaround time, 24-hour availability and our affordable pricing has managed to win us the trust and gratitude of countless customers, whom we’ve helped traverse through pressing emergencies in the past. Your locksmith doesn’t respond or denies service; how would that make you feel? It would be unnerving, to say the least, to find that you’re completely cut off from help. But with us, you never have to worry about it. We always respond, no matter when you call us, and make sure we respond quick. Any time you call us, a friendly technician will answer it right away, listen to your requirements and immediately send help. Once we’ve recorded your request, without the slightest delay, a mobile van nearest to your location is notified. Since we own a wide network of workshops across the region and operate a large number of mobile vans, no matter where you call us from, we’re no more than 15-20 minutes away from your location. 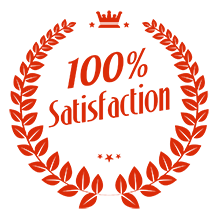 This further reduces the total turnaround time for resolution of your urgent request. Stressful, frustrating and panic-inducing, losing a key or being locked out due to a malfunctioning lock can turn a perfectly normal day upside down. Dealing with customers who’re battling such emergencies, requires a special tact – something that our locksmiths have mastered through training and experience. Polite, friendly and quick thinkers, they’re able to reassure frantic customers, and get to the solution in minimal time. Are you locked out of your home? Need a key made on an urgent basis? 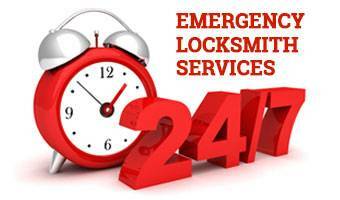 Don’t worry, contact our emergency locksmiths and get immediate solutions delivered right where you are!